The film picks up four years after the disaster at Jurassic Park. On a nearby island, dinosaurs have secretly survived and been allowed to roam free but now there is a more ominous threat--a plan to capture and bring the dinosaurs to the mainland. John Hammond, who has lost control of his InGen company, sees a chance to redeem himself for his past mistakes and sends an expedition led by Ian Malcolm to reach the island before the mercenary team gets there. The two groups confront each other in the face of extreme danger and must team up for their own survival in a race against time. A research team is sent to an island miles away from the previous home of Jurassic Park, to document and photograph the now liberated dinosaurs. However, InGen the BioEngineering company has sent another larger team to the same island to catch, sedate, and transport some dinosaurs to San Diego where they will be used in a new Jurassic Park location. But life always finds a way. Will both teams return to the mainland with successful findings? Or will another tragedy occur? 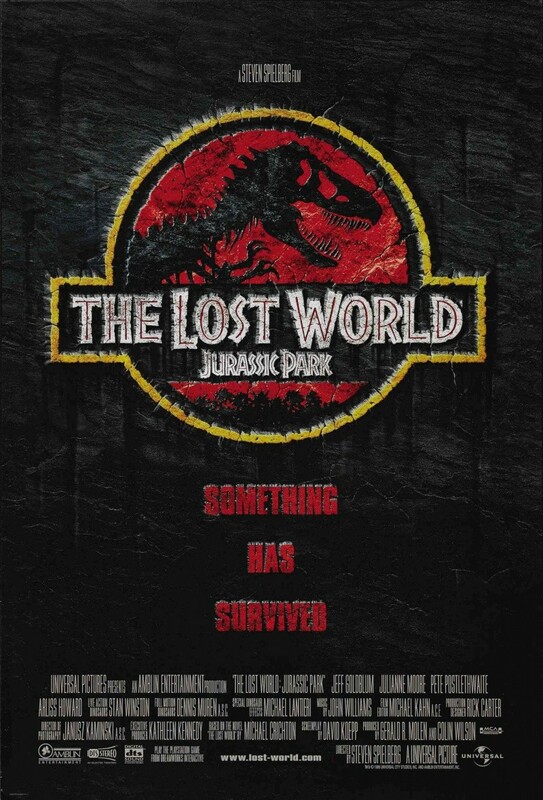 This movie is yet another run for life screaming, adventure for Jurassic Park. After the first Jurassic Park we were excpecting a good sequel. Well we thought wrong in some ways. This was a fantastic movie up until the end when everything went down hill from there. I'm saying this because I'm not a Godzilla fan. But still this does serve its purpose to the Jurassic Park series as a thriller chiller non-stop action fun. I would rate this 7.5/10. This is a movie worth watching. Lovely CGI, pretty good sound. No plot what-so-ever! It doesn't matter how good the effects are, there is nothing of substance to hold the film together, and by the time the T-rex rampages through the city, you've already fallen off your chair laughing. • The adult Tyrannosaurus is in fact one of the most accurate to appear in any popular media, including documentaries. However the shape of the head is too blocky and a bit wide, while the eyebrow ridges are far too pronounced. The arms appear to be just a tad too long and articulated, and the hands are able to twist. In reality, the wrists were fixed into a nearly immobile position, facing each other, but this is a relatively new discovery. As is the one made about the creature's hide: fossilized skin impressions show the animal had a heterogeneous, goosebumps-like skin texture, as opposed to scales, and this is evidence that, at least early in its life, T. rex was feathered. Scales were probably present on its throat-sac and on various parts of its body, though, like the underside of its tail. The juvenile T. rex is anatomically highly inaccurate in comparison: in reality, young rexes had long, slim jaws and a more elongated face. They actually look like a completely different type of dinosaur, which is why there is an argument among scientists whether the small and slender tyrannosaur Nanotyrannus was a distinct animal or just a young T. rex. Also, we now know them to have been fuzzy. • The Stegosaurus are also highly accurate, though we now know that of the five toes on their front feet, only three were clawed, while the other two ended in stubs. This is true for all dinosaurs that had more than three digits, and is really a basal trait among archosaurs (modern crocodiles also lack claws on their outer two toes). Another mistake is the absence of the Stegosaurus' throat armor—small, pebble-like bones embedded into its neck. We have no information about their social behavior or whether they cared for their young, as proposed by the movie. • The Triceratops is likewise relatively accurate, though we now know that its front feet had five toes instead of four, three of which were long and clawed, with the other two ending in stubs. These were also quite slender, and the back legs even resembled the legs of birds. In the movie, they are more elephantine. Also, a spectacular fossil find, an imprint of the skin of Triceratops, tells us that the scales on its belly were large and rectangular, while (most amazingly) the back of the creature may have had porcupine-like quills protruding from it. Juveniles had horns that pointed upward. • The Velociraptors in the movie became so embedded into public mind that a lot of people find it hard to accept that the real animals looked almost nothing like them. The raptors here are actually based on Deinonychus, a wolf-sized American dromaeosaur, rather than the Asian and turkey-sized Velociraptor. The book points this out, the movie does not. Even so, the anatomy of these "Deinonychus" is wrong in nearly every aspect. They are too big—shown to be able to look a human right in the eye, however true Deinonychus would only come up to our waist or chest. This is because the legs of raptors were surprisingly short. Despite what the movie tells us, they (or at least the more advanced raptors, such as Deinonychus, Velociraptor and the gigantic Utahraptor) were bad runners, and likely ambushed their prey. Their claws weren't suited for slashing, as their inner rim was more rounded than sharp, better suited for climbing and puncturing than making cuts. The tail of raptors is shown as relatively short and bendy in the movies, but they were really much longer and quite stiff (the animals belonged to a dinosaur group called tetanurae, meaning "stiff tails"). They were flexible to a degree, but incapable of flailing around. The skull of the movie-raptors is blocky and stout, and doesn't match that of any known dromaeosaur. Their arms, or rather wings, are almost human-like. In reality, they were unable to rotate their wrists, meaning their hands were permanently stuck in a "clapping" position. They would thus have been unable to open doors. They also didn't hold their wings in front of their bodies. Paleontologists believe they held them at their sides and to the back. This made them more aerodynamic, and kept their feathers from touching the ground. Most famously, raptors were feathered. Fossilized feathers show these were the same as the pennaceous feathers of modern birds, and not the type of primitive "fuzz" that a lot of other dinosaurs (for instance T. rex) had. Their arms were lined with long, sturdy feathers, the type birds use for flying—many smaller raptors were indeed capable of using them to glide through the air, although not being able to lift them above their shoulder-line, they couldn't flap their wings. The wing-feathers extended from their middle digits, not from their wrists as many erroneous reconstructions show, which would have made the hands even less dexterous. Essentially, they had "wings with claws" rather than "arms with feathers". Raptors were covered head-to tail in feathers, and possessed fans on the end of their tail. Only the tip of their snout and their feet had scales, although some even had feathers sprouting from their toes. There are a number of theories regarding their hunting strategy. The famous Fighting Dinosaurs fossil, in which a Velociraptor and Protoceratops were found locked in combat at the time of their death, shows the raptor sticking tis claw into the herbivore's neck, which many see as proof that raptors used their claws this way—others claim that the animal was trying to push itself away from the Protoceratops, and that the raptor wasn't the real attacker in this scenario. Another theory says that they would have gone for smaller prey, and then clawed it to death while standing upright over it, using their wings to balance themselves and to keep other raptors away by forming a "shield" around their meal. It is unlikely that they used their teeth or wing claws for killing. There is no evidence to suggest raptors were pack hunters. This theory was based on several Deinonychus skeletons that have been discovered together with the skeleton of a herbivorous dinosaur, but recent studies indicate that these weren't found together because they formed a pack when alive, but because they came to feed off the carcass, and subsequently fought over it, during which many Deinonychus were killed—their remains also show signs of scavenging, meaning they could even have ate each other. Also, while raptors were probably smart for dinosaurs, they likely lacked the necessary intelligence needed for coordinated assaults. However there exists a fossil trackway that shows a bunch of these animals walking in a group, so the question of whether they were social or not has yet to be cleared. Furthermore, different types of raptors had different jaws—velociraptorines had relatively weaker jaws than dromaeosaurines, which suggest that they relied primarily on their claws while hunting, which would have been more useful for bringing down larger prey. Thus some scientists still believe that the pack hunting theory holds water. • Procompsognathus is another memorable dinosaur from this film, but its appearance was actually modeled on the much better understood Compsognathus. Despite their names, they were only distantly related, although both were small and slender theropods (however some argue that Procompsognathus wasn't even a dinosaur, because its fossils are so badly preserved that it is difficult to tell what it was). Their size is on the small side in the movie, probably thanks to the tiny Bavarian Compsognathus fossil that had made the animal famous as "the smallest dinosaur"—we now know that the fossil in question represents a juvenile specimen, and fully grown it would have been about a meter long, or slightly longer. The animal is shown possessing two fingers, but Compsognathus actually had three. It was also most likely covered in primitive feathers, proto-feathers, if you will. The movie portrays them as vicious pack hunters that go after large prey, while in the novel (where they are also called and described as being Procompsognathus), they're also venomous and eat feces—we have evidence for none of this. We however do know that Compsognathus ate small animals like lizards. As for why the taxonomic confusion between Compsognathus and Procompsognathus in the movie? The character Robert Burke mistakenly calls the animal "Compsognathus triassicus", combining the generic name of Compsognathus and the species name of Procompsognathus. The reason for this blunder is unclear, though many foreign-language dubs changed the name to Procompsognathus—which still is incorrect, as the thing is clearly meant to be Compsognathus. • Most of the other dinosaurs we only get brief glimpses of are fairly accurate. Again, their only real problem is the number of their claws. As for Parasaurolophus, we know that it had no claws at all on its front feet, and the three inner digits were fused together into a single, almost hoof-like structure. Also, the Gallimimus should be covered in fuzz, its arms should be lined with long, sturdy feathers, and its hands should be facing inward. • The Pteranodon from the movie's closing shot is, sadly, grossly unscientific—it actually seems to have been based on the outdated, early 20th century understanding on what pterosaurs looked like. It's shown perching on a branch and staying erect, whereas its feet were incapable of gripping, and the animal was a quadruped when on the ground. Its wings appear floppy, but we know that the strong muscles running through them allowed the membranes to be "folded in" after landing. The head-shape is also incorrect: the tip of the beak should be pointing upwards. What more, it's also known that pterosaurs were furry. Due to the fact that according to both the novel and movie, these "dinosaurs" and "pterosaurs" are actually just human-engineered mutants, most of these inaccuracies can be explained in-universe as being just the results of the geneticist's tampering. The closest the films have come to acknowledging this is in Jurassic Park III (2001) when Grant says "What Hammond created was an island full of genetically engineered monsters. The real research is in the fossils..."—the novel at least made it clear that the clones are just approximations, and not real dinosaurs. In Jurassic World, it is explained that had it not been for genetic tampering, many of the dinosaurs probably would have looked very different.